In the final at the U.S. Open, Serena Williams held off world number one Victoria Azarenka 6-2, 2-6, 7-5 to grab her fourth U.S. Open trophy and her 15th career major. With singles and doubles prizes at both Wimbledon and the Olympics, it has been a dream summer for Williams. Moreover, she’s demolished the field to reach the final this fortnight. Azarenka had the harder road in booking her maiden appearance in the final in New York. The Belarusian fought past defending champion Stosur in the quarterfinals and survived another three setter in the semifinals against Maria Sharapova. After closing out the opening game with an ace, Williams manufactured love-40. 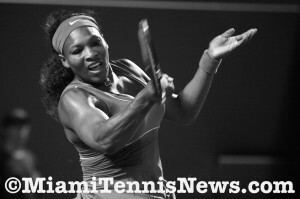 Even though Azarenka managed to get to deuce, Serena arrived at a fifth break point with a backhand lob winner. When Azarenka’s backhand sailed long, Williams captured the break. Soon, with another quick game, Williams consolidated for 3-0. Surrendering only six points on her serve, at 5-2, Williams broke Azarenka at love to bed the first set in 34 minutes. Williams and Azarenka clashed on ten prior occasions, with the former winning nine of those encounters. Consequently, it seemed like 2008, Williams would cruise to the title without dropping a set. But, Azarenka demonstrated why she is the reigning Australian Open champion. 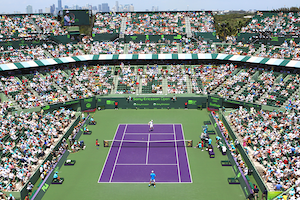 If I were to pen a riddle about this topic it would go something like this: what sound is a sign of severe respiratory distress in a child or preparation for speech in babies, yet is a source of annoyance to spectators viewing a tennis match? If you were to guess grunting, you would be on the ball. One would have to be deaf not to have noticed that the courts on the WTA circuit are somewhat quieter the last few months. This is due to the conspicuous absence of Maria Sharapova. The Siberian diva and her signature ear-piercing grunt have been sidelined for the rest of the season by a shoulder injury. Although Sharapova is an extreme and expert poster child for that note, the men are not immune. Rafael Nadal seems to have taken lessons from some of the great Spanish tenors. Nowadays, grunting has become commonplace on tour. Just like voices, the sound varies in intensity and cadence. Undoubtedly, the player who opened the laryngeal gates and brought grunting into the spotlight was Serbian Monica Seles. This tone turned out to be such a distraction that at the 1992 Wimbledon finals, Seles was asked to keep the decibel down which may have thrown off her rhythm and cost her the match against Steffi Graff. Perhaps, Seles’ inability to vocalize may have dampened the weight of her shots. After all, tennis players are creatures of habit and a bit superstitious. Facing Andre Agassi in the 1982 semifinal at the U.S Open, Czech Ivan Lendl cited that his opponent’s grunting was a mental distraction particularly considering it had never been an issue he had previously encountered. Luckily, Lendl was able to focus enough and win the match. Although athletes are famous for their powers of concentration, it is hard to fathom how a noise which can seem as loud as a subway train is not a disturbance. Therefore, it leaves one to wonder whether all this ruckus is really necessary.